If you’re a heavy snorer and have episodes during the night in which your breathing is briefly and repeatedly interrupted, you may have obstructive sleep apnea. And a noisy CPAP machine is not the only solution. 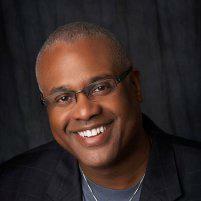 At Pierson Dental, experienced dentist Dr. Melvin Pierson offers effective, convenient solutions to sleep apnea. If you live in Sicklerville, Williamstown, Glassboro, Clayton, or Franklinville, New Jersey, call the office or book online to find out about simple dental solutions for sleep apnea. Obstructive sleep apnea occurs when your breathing is repeatedly interrupted for at least 10 seconds at a time as you sleep. Those experiencing sleep apnea have these interruptions hundreds of times per week. The condition occurs when the muscles at the back of your throat fail to keep your airway open, and tissue blocks the airway. Then your brain senses a lack of oxygen and awakens your body. You still experience fractured sleep and chronic exhaustion, even though in the morning, you may not remember these episodes of awakening because they’re brief. Sleep apnea interrupts your sleep cycle, leading to daytime drowsiness that can make you feel low on energy and have difficulty concentrating on tasks. The oxygen starvation experienced during sleep apnea has health implications, too, including increased risk for heart disease, hypertension, and mood problems. You’re also at a higher risk of driving while tired, increasing the chance of severe car accidents. A continuous positive airway pressure machine (CPAP) is often prescribed as a treatment for sleep apnea. But these machines are noisy, uncomfortable, cumbersome, and don’t travel well. Many people who have CPAP machines don’t use them, because they can’t sleep through the sound of the pump or stand to wear the mask all night. At Pierson Dental, Dr. Pierson offers oral appliances that are customized to your mouth and provide an alternative way to treat sleep apnea. These appliances called snore guards fit the structure of your mouth for ultimate comfort. They reposition the lower jaw and tongue to ensure your airway stays open. And unlike CPAP machines, an oral appliance has no parts to maintain or replace. For more information about dental solutions for sleep apnea, call Pierson Dental or book an appointment online today.